Radar for the trailerboat crowd makes more sense than ever. Your boat’s too small for radar, you say? But is it really? Do you leave to fish in the wee hours of the morning or return home from a weekend cruise at night? Do you boat in frequently foggy areas? Would you give an arm to spot birds that signal where the fish are biting? Do you have navigation on a multifunction display (MFD)? If so, the truth is you’d probably benefit from radar. Today’s radar units are powerful, affordable and compact. 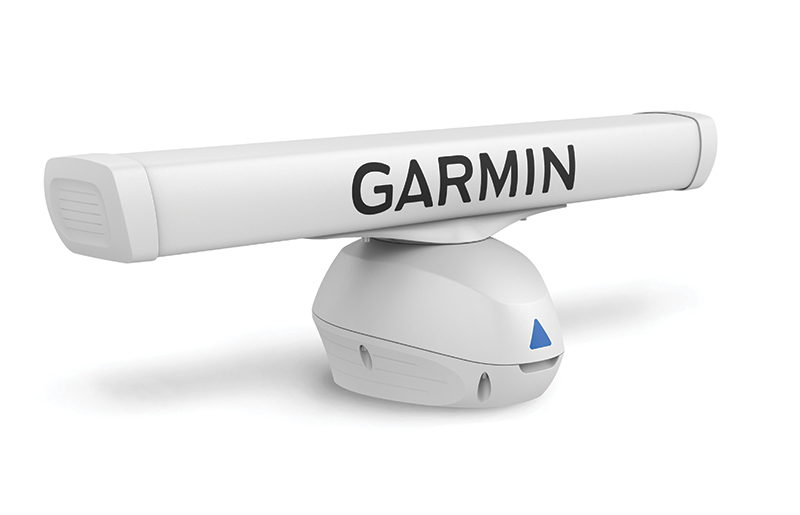 For example, Garmin offers radome-based radar scanners only 18 inches in diameter, good for boats less than 30 feet. Furuno offers domes at 15, 18, 19 and 24 inches, and most of those units weigh less than 15 pounds. Open-array scanners are four or six feet wide but once placed on a center console hardtop, they don’t really take up any usable space. 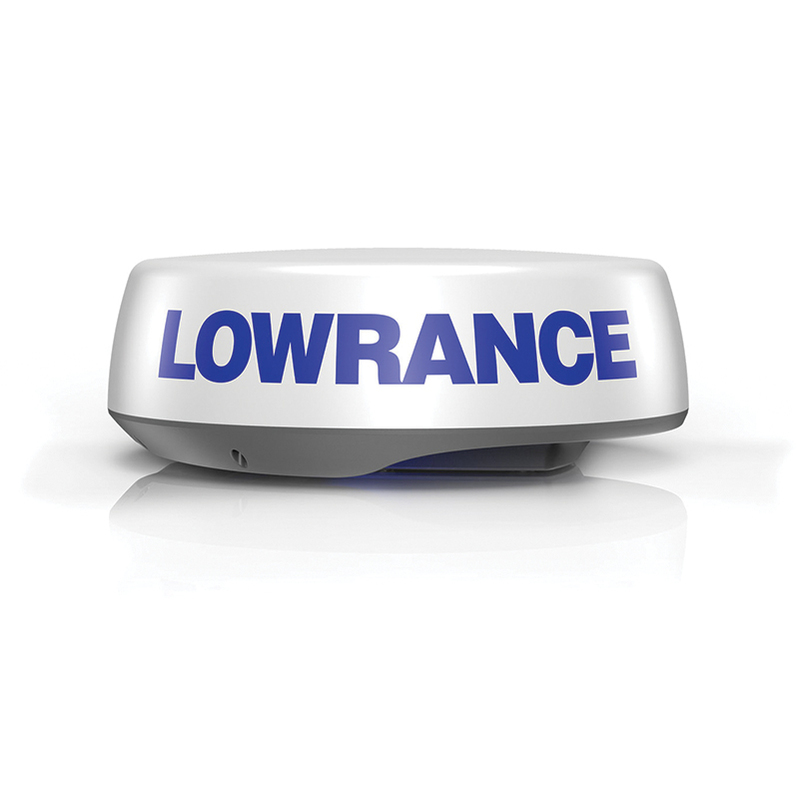 Most of the dome radar is available in 4kw, which reaches out 24 or 48 miles and is great for cruising. For fishing, more powerful open arrays will be the choice. While traditional radar was considered a power hog, the new units are low wattage, with some using only 25 watts, similar to a VHF radio. 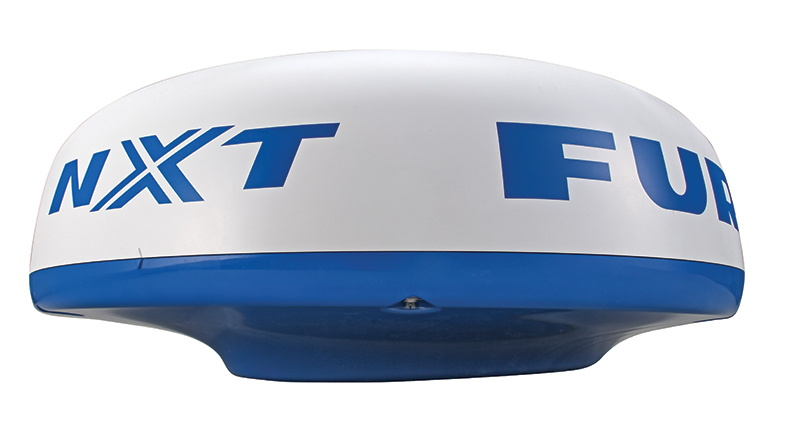 Small boats have limited battery banks, so they’re power-sensitive, but that’s no longer a reason not to have radar. Also, these new units put out very low radiated emissions. Simrad’s Halo is considered so safe in its emissions that it’s been dubbed “huggable.” Although the hugging is optional, that means they can be mounted in areas previously deemed too close to human activity, and remain safe. Yes, radar is primarily used for situational awareness, which translates to collision avoidance and safety, but these new units can do so much more. Today, radar delivers better clarity, target separation and small-target detection. For example, everyone now offers “bird mode” — the ability to identify sea birds up to five miles out — which fisherman will love. Additionally, new solid-state Doppler radar has amazing features. Raymarine’s Quantum 2, Garmin’s Fantom, Simrad’s Halo and Furuno’s DRS4D-NXT all offer color coding to help with target interpretation. The colors answer the most basic radar question: Which way is that target moving? 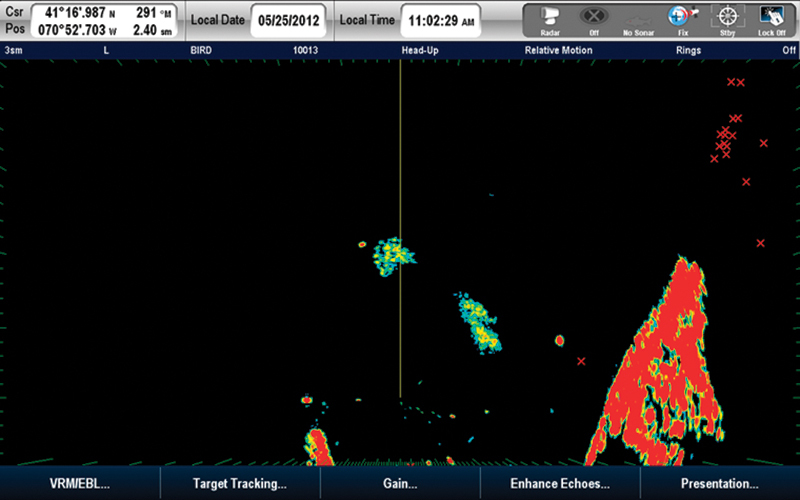 With Garmin’s Fantom MotionScope, if the target is inbound, it turns red; if it is outbound, it turns green. Color use varies among the manufacturers but the concept is the same. 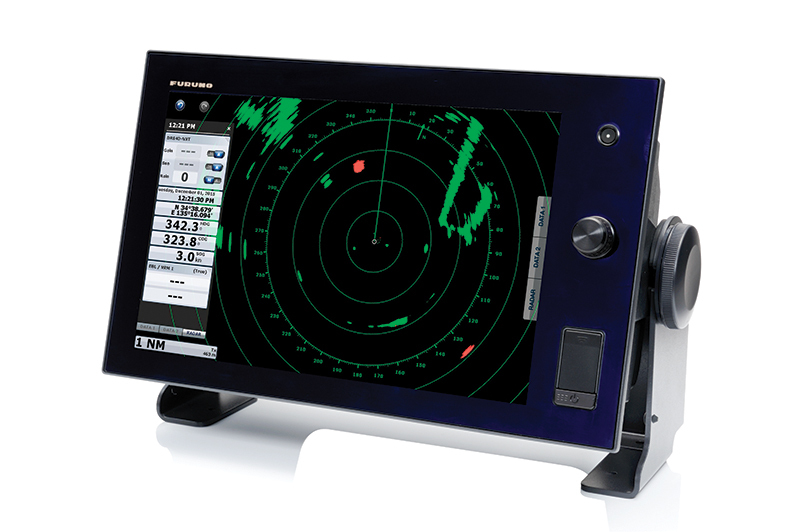 Furuno calls its color coding Target Analyzer, and Simrad’s is VeolcityTrack, which determines, from the first sweep, motion as low as 2 mph of combined inbound (target) and outbound (your) speeds. Ease of use continues with Halo’s presets for modes titled Harbor, Weather, Offshore and Bird, which are pretty self-explanatory and can be reached in two keystrokes. These modes change the beam angle and eliminate sea clutter automatically. Weather will no longer sneak up on anyone thanks to today’s sharp resolution. Users can see squalls coming and navigate around them or decide to pull up anchor and head home if thunderstorms pile up all around. Furuno’s Rain Mode turns rain cells blue, separating them from other radar targets and land. Raymarine systems are also stabilized. If a boat’s course and speed change, the entire scope rotates accordingly, not waiting for the next sweep to update. It’s a small detail that makes a big difference in readability. 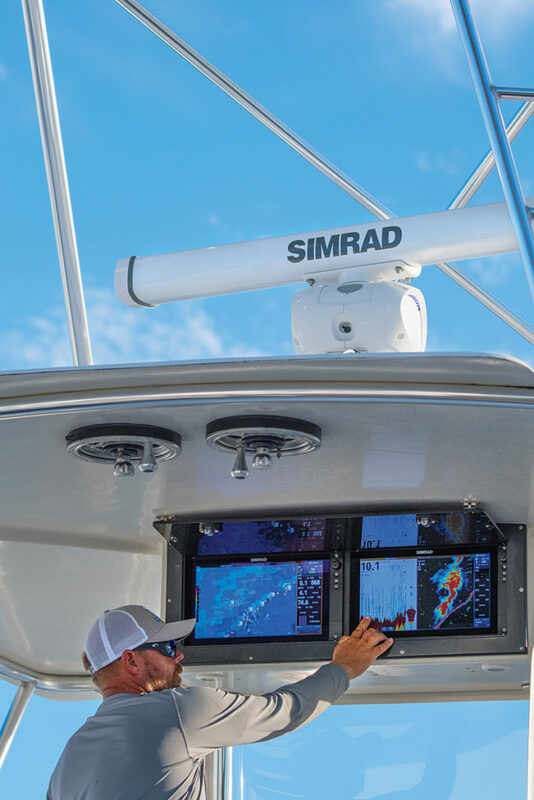 Simrad’s 3G and 4G technology, which is also marketed under the Lowrance brand, offers pulse-compression radar that has no “main bang,” that blind spot created during in-close navigation due to the time delay between when each pulse starts and ends. With the Halo 24, for example, users can pick up a piling even as they nearly poke it with their pulpit. That makes close-quarters navigation, such as entering a new harbor in the dark, much safer. As for connectivity, most of the new units are plug-and-play with MFDs and most of those, such as Garmin’s GPSmap, have radar capability built in. Manufacturers such as Simrad offer software unlock codes that make it simple for users to purchase a new upgrade later and unlock it in their existing MFD, with an additional fee. Some radar doesn’t need an MFD. Furuno offers DRS4W Wi-Fi-based radar that’s compatible with iOS devices (iPad and iPhones). It requires a power cord but no other connectivity is needed, which makes the system very affordable when users already have an iPad. Radar has a number of uses, the benefits of which don’t require adverse conditions. But at what cost? Folks may be pleasantly surprised by modern radar’s price/benefit ratio. 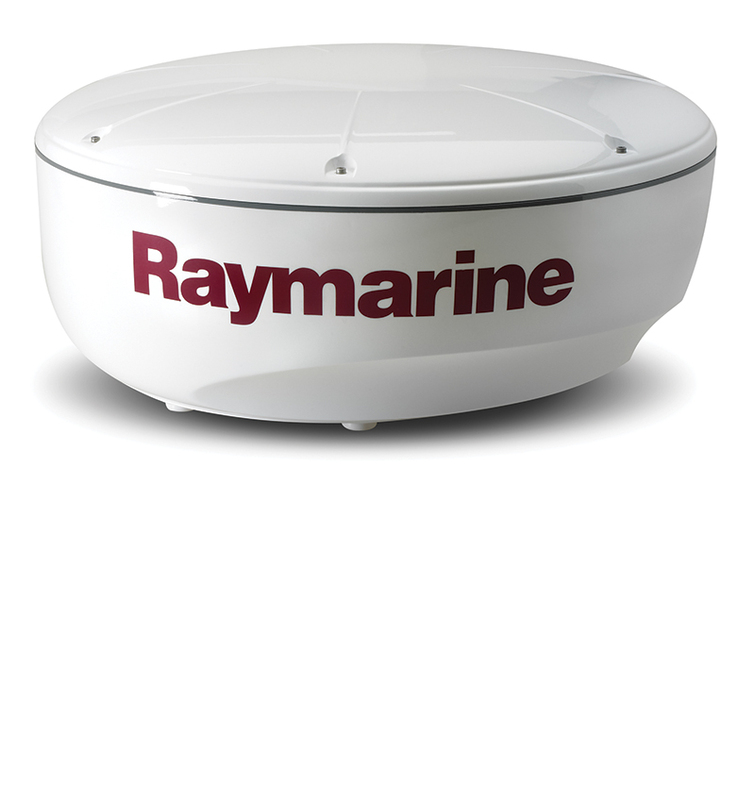 Raymarine’s Quantum 2 with Doppler is $1,950, while Furuno’s DRS4DNXT 24-inch radome with Doppler is about $2,100. Garmin’s Fantom 24-inch dome with MotionScope runs about $2,800, and Simrad’s offerings range from 3G ($1,499) to 4G ($1,999) and all the way up to the Halo 4 ($5,500).